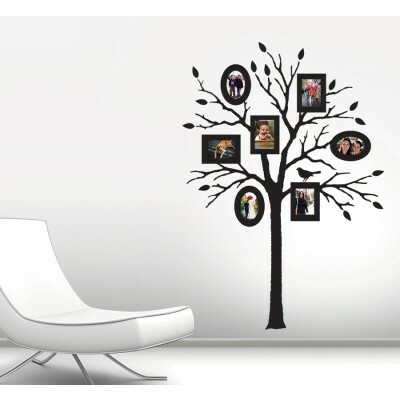 Here is an easy, fun, fast and removable decorating idea – vinyl wall decals. Change up your walls easily and whenever you want. Decorate for parties, let the kids go wild with the walls of their rooms or add character to dorm rooms. Just press them on, and peel them off. No muss, no fuss. We feel these websites have the most varied and imaginative designs. Art Appliques are very creative! They have a large selection, and we love the New York trompe l’oeil. and the huge bamboo wall mural. 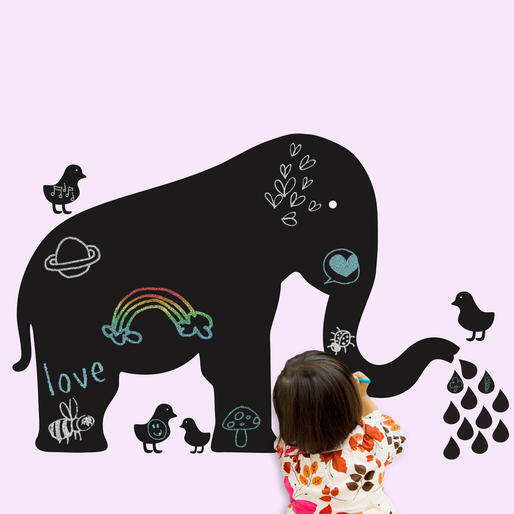 Wall Candy Arts – This site focuses mainly on kids’ rooms, but has a few decals for adults. We love the chalkboard animals. 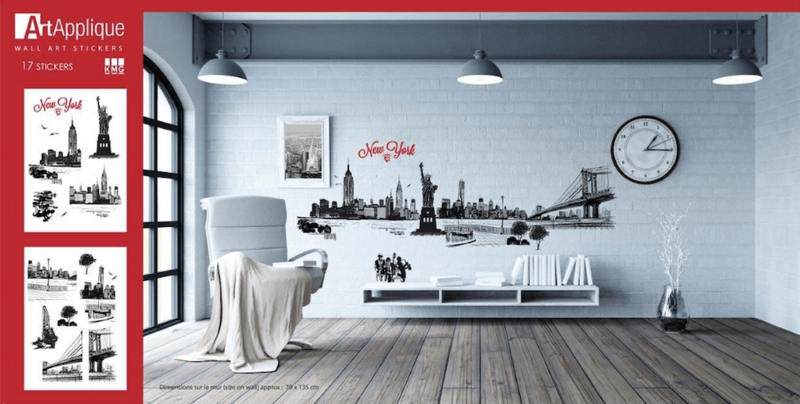 Wall Pops vinyl wall decals can be used in place of wallpaper, or as wall art. They are very imaginative and fun. They have an “Inspiration” section and a blog if you need a few ideas. RoomMates – This site has lots of creative choices. It has sports decals, sayings, wall murals, art for kids rooms, and holiday items. 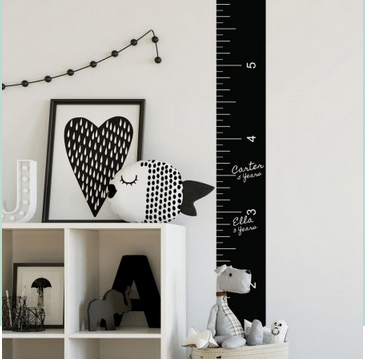 This Growth Chart Chalk Ruler Peel is a great idea to keep the important measurements in life, without marking up walls. The Wall Sticker Shop features several different companies. One of our favorite design brand is Butch and Harold, named for the imaginary dogs of the founders, who happen to be sisters. We love this “family tree” idea. 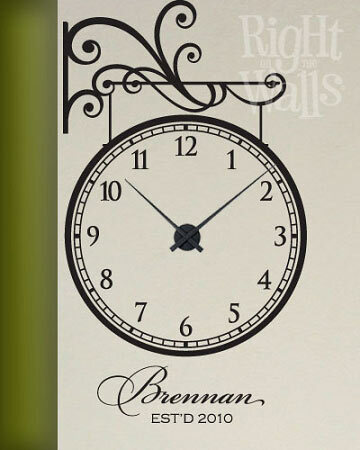 We love these Right on the Walls vinyl wall clocks . There is a large selection, and any can be personalized or just left as is. They are $50.95 each. The clocks are 22″ in diameter. Wallies calls itself the “official site for pre-pasted cutouts”. 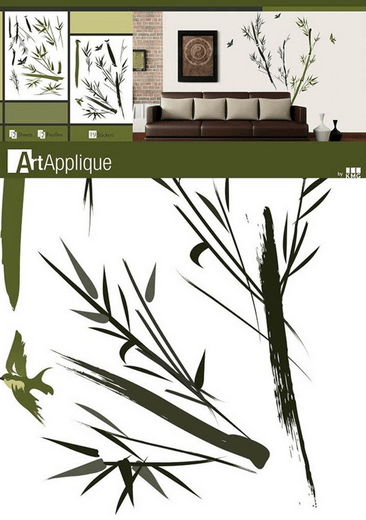 They have vinyl wall murals, and vinyl decals which can be used for decorating everything from flower pots to laptops. Their chalk labels are very clever. 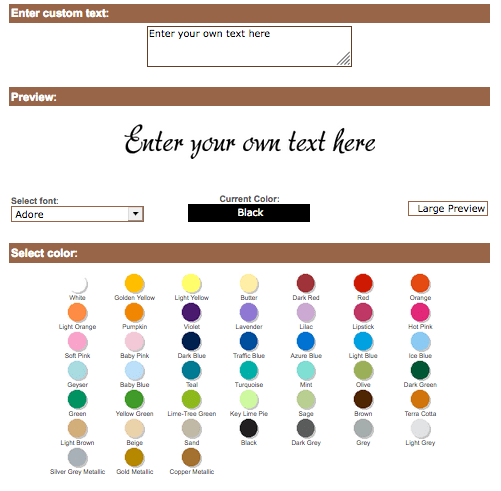 MyWallDecals allows you to create your own signs or sayings. Choose your font and colors.